There's a Kohl's Coupon Code for $10 off $50. Use Coupon Code HOMESALE10 at checkout. Shipping is Free on orders over $75. While you're there, make sure to check out all the Clearance items. 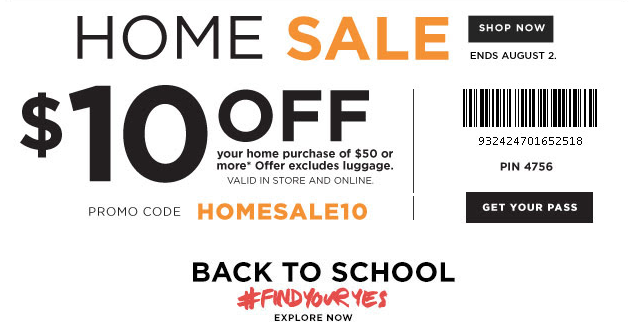 Find the latest Kohl's Coupons, Sales and Deals here.